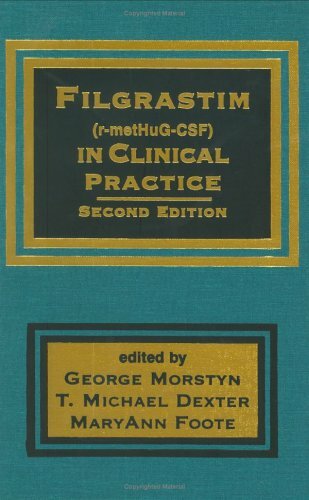 Providing a wealth of insights drawn from the experience of groundbreaking researchers working in the field, this Second Edition of a landmark volume brings preclinical and clinical studies of Filgrastim (r-metHuG-CSF) up to date with completely revised and expanded discussions of its biology, biochemistry, structure, pharmacology, clinical applications, and pharmacoeconomics. Explores how Filgrastim reduces infectious complications in the management of cancer, AIDS, severe chronic neutropenia, neutropenia associated with nonmalignant autoimmune diseases, non-neutropenic infections, lymphoma, leukemia, diabetic foot infection, and more! Containing over 1650 references-more than 600 new to this edition!-this truly outstanding Second Edition continues to furnish unparalleled coverage of the subject matter for oncologists, hematologists, infectious disease specialists, immunologists, radiotherapists, oncological nurses, and graduate and medical school students in these disciplines.